(July 19, 2012) When my daughter was little and I read to her regularly, one illustrated book was a favorite of ours. 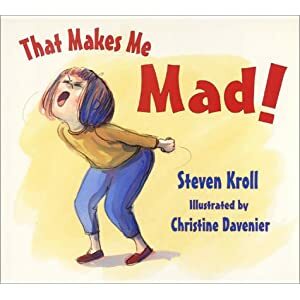 In a series of scenes, it described frustrating incidents in the life of a young girl, each ending with the line -- which my tiny daughter would boom out with remarkable force -- “that makes me mad!” It was the book’s title and a repetitively cathartic moment in our reading lives. And it came to mind recently as, in my daily reading, I stumbled across repetitively mind-boggling numbers from the everyday life of our National Security Complex. "Even in the face of efforts to bring down the soaring US budget deficit, military spending continues to receive privileged treatment. President Obama's FY2012 budget announced a 5-year freeze on non-security-related discretionary expenditure, but military spending, along with other security spending such as intelligence and Homeland Security is exempt. Such cuts as may occur are likely to be due to the end of the US troop presence in Iraq and the gradual drawdown from Afghanistan, rather than to cuts in the 'base' defence budget. Taken together, these figures suggest that the USA continues to prioritize maintaining its overwhelming military power as the basis of its security and status."